House Clearance Service In All Areas Aglionby Aiketgate Ainstable Armathwaite Baldwinholme Barclose Beaumont Belle Vue Bewcastle. 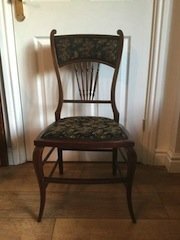 A vintage style mahogany curved back hall chair, upholstered to the seat and backrest in foliage patterned green and and black velour. 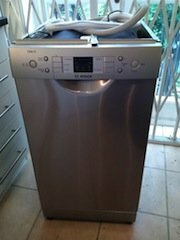 A Bosch Excel slimline stainless steel, under counter dishwasher. 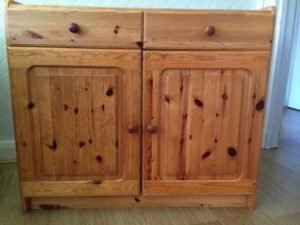 A small solid pine sideboard, having two small drawers above a double cupboard. 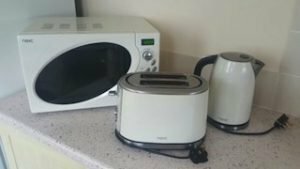 A three piece white Next kitchen accessory set, to include a 20L microwave oven, a two slice toaster and a kettle. 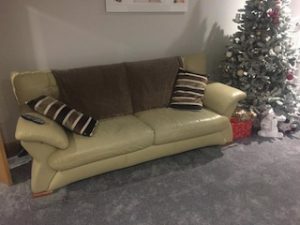 A two seater high back sofa on solid oak square feet, upholstered in cream faux leather. 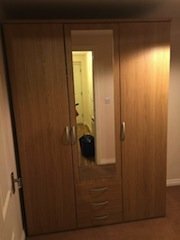 A tall standing triple beechwood wardrobe, having a single wardrobe to either side of a mirror inlaid cupboard with three storage drawers underneath. 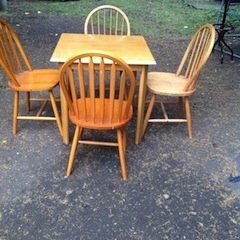 A solid pine square farmhouse dining table, together with four matching curved back dining chairs. 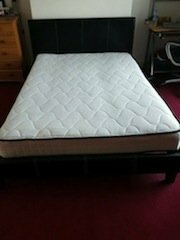 A black wood double bed frame with removable curved headboard, together with a white double mattress. 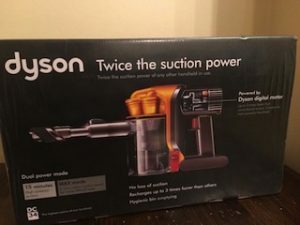 A brand new boxed mustard yellow and space grey, Dyson DC43 handheld vacuum cleaner. 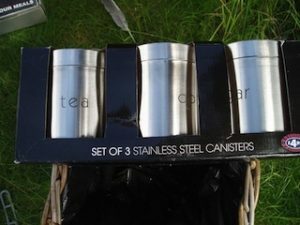 A brand new set of stainless steel tea, coffee and sugar canisters. 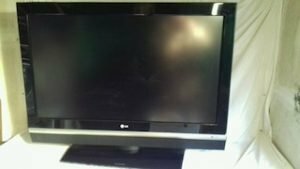 A black LG 42 inch flat screen television. 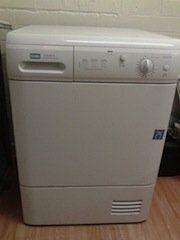 A white Creda 8kg under counter condenser tumble dryer. 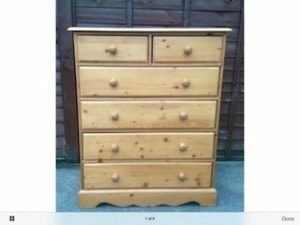 A tall standing solid pine chest of drawers, having two small over four large drawers. 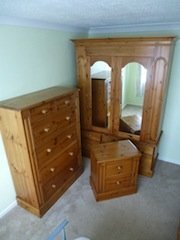 A three piece solid pine bedroom furniture suite, to include a double mirror inlaid wardrobe with five storage drawers, a tall chest of drawers and a small bedside chest of drawers. 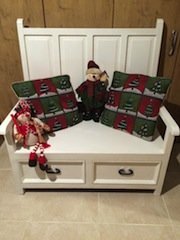 A hand painted white solid wood hall seat, having two storage drawers underneath. 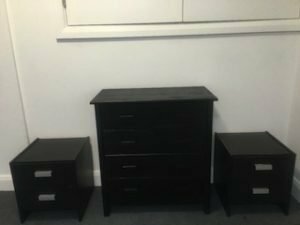 A black wood three piece bedroom furniture suite, to include a tall chest of drawers and a pair of bedside drawers.